Although the holiday season has ended, the holiday pain has not for those employing individuals on long term sick leave. Thanks to European law, employees in the United Kingdom can now save up holiday leave entitlement accruing to them whilst on sick leave and take it when they are well enough to return to work. They can also claim to carry over this holiday leave to the following holiday year for a reasonable time thought, following European cases, to be about three months. If the employee’s employment terminates during sick leave, they will be entitled to payment in lieu of holiday. So, if an employee has been on sick leave for a year and has a holiday allowance of six weeks per year, when they return to work the following year, they may be entitled to 12 weeks holiday leave. One of the major causes of sick leave is stress. Stress triggers are on the rise and just reading the news can be stressful at a time when few have confidence in their job security. Money troubles at home place domestic relationships under pressure. Anxiety and tensions heightened outside work can disable the ability to concentrate and cope with the normal demands of the workplace. Once an individual is diagnosed with depression, the employer is legally obliged both under employment and health and safety law to take steps to reduce normal work pressures and to offer support. Employers carry a financial and moral burden. If full pay is continued for a time after an employee goes on sick leave, it is often a difficult decision to curtail that arrangement, particularly when the employee is known to be depressed or anxious about money worries. Another cost is the hiring of temporary workers to cover sick leave. If the funds are not there it is common for work colleagues to be asked to take on the additional burden of covering for their fellow worker and this can in turn cause colleagues to be stressed or unhappy about workload. There is also an issue of trust. Employees on long-term sick leave may neglect to apply for holiday leave if they are taking holiday whilst off sick, perhaps taking the view that a trip abroad is therapy for their illness and not really holiday. If it comes to the attention of the employer that the employee has gone to Spain for a fortnight and not applied for holiday, this can affect trust and also cause the employer the administrative burden of an investigation if the employee disputes that the travel amounted to holiday. Where the illness qualifies as a “disability” under the Equality Act 2010, the employer is normally obliged to obtain a medical opinion from an advisor to identify what reasonable adjustments the employer should be considering making, to support that person so that they can continue or return to work. For many employers this will mean referring the employee to an independent occupational health specialist at a cost of around £500. This can be problematic as the specialist is unlikely to meet with the employer but will meet with the employee. This means it is not uncommon for the specialist to hear, and be persuaded by, the employee’s perspective on their health and ability to work, without properly understanding the employer’s. Employers should make it a priority to communicate with the specialist, in advance of the patient review, to ensure that the specialist has a clear understanding of the requirements of the employee’s role, the nature of the work environment and the constraints upon the employer to modify these features. For example, if the employee is a Sales Executive on sick leave for depression, exacerbated by stress and the employer must increase the employee’s sales targets by 15% or the business goes under, it may not be feasible for the employer to hold the employee’s job open or to enable the employee to return on reduced targets or hours. If the specialist does not know the financial pressures on the business, they may advise a reduction of the Sales Executive’s targets to reduce stress. The employer, upon receipt of the specialist’s advice to reduce targets, will be on the back foot, explaining why they reject the advice on business grounds. This can lead to unpleasant and unhelpful disputes between the specialist and the employer, which can undermine the relationship of trust with the employee. The current economic troubles mean employers should be looking to make their contractual terms and employment policies as recession-proof as possible. Policies that may have been sustainable in boom times may be impracticable now. If the employer pays over and above statutory sick leave, can they afford to do this and, if so, have they retained the ability to stop such payments? Does the sick pay policy set out how any discretion is exercised and, once exercised, the circumstances in which the discretion to pay sick pay will be reviewed and stopped and on what notice to the employee? Does the employer restrict the ability to carry over holiday from one year to the other and, for those on sick leave; is the ability to carry over restricted to the minimum holiday allowance permitted under statute, rather than any enhanced holiday allowance under the contract? If the employer operates a bonus scheme, is the entitlement to bonus moderated if the employee is on sick leave for a lengthy period of time? Are employers engaging in home visits? These are valuable to monitor the progress of the employee and to signal to the employee that they are of value so that a relationship of trust is maintained, conducive to honest discussions about the employee’s recovery and the likelihood of returning to work within a reasonable time taking into account the needs of the business. The employer should also consult regularly with their employees covering for sick colleagues to ensure that they are not overburdened. The UK government is concerned about the way in which the European Court of Justice has interpreted the holiday entitlement of those on sick leave, and there is a conflict between the Working Time Directive and the UK’s Working Time Regulations. This is currently under review. Most employers though will wish to avoid legal disputes with employees about the interpretation of the conflict between UK and European law. Instead, it is more pragmatic to communicate clearly with employees about the economic pressures that the employer is experiencing, what the employer can and cannot afford to do if an employee goes on sick leave and to maintain a regular and candid dialogue with the employee during sick leave. This must be done whilst ensuring that employment contracts and policies are able to withstand the current vagaries of European law and enable the employer to make decisions that are fair both to the employee and to the stability of the employer’s business. 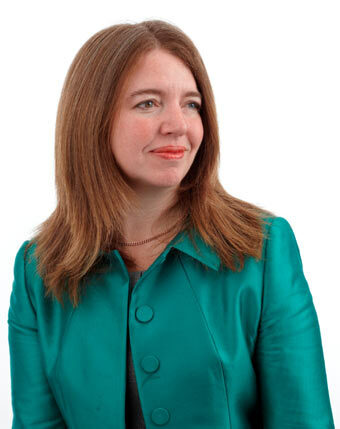 Madeleine Thomson is Head of the Employment Law Department and acts predominantly for employers. Her clients span a wide range of sectors including construction, manufacturing, retail, insurance, travel, education and professional services. She has expertise in all aspects of employment law including complex strategic issues involving TUPE, outsourcings, information and consultation on both national and cross jurisdictional restructures and transfers. She advises companies on changes to their terms and conditions of employment to reflect the latest legislation and market conditions. As an accredited Workplace Mediator, Madeleine able to resolve workplace disputes before they escalate into employment tribunal claims. She also provides training to directors and executives on the employment law issues that apply to every day working practices with a view to minimising the company’s exposure to risk of claims for unfair dismissal, discrimination, equal pay, whistle blowing and breach of family friendly legislation. Hamlins LLP is a well-established, successful commercial law firm based in London’s West End. The firm has expertise in a wide range of sectors including Media and Entertainment, Retail, Travel and Leisure, and Property. The firm’s Employment team provides a comprehensive employment law service for employers and employees including employment contracts, employee handbook and policies, flexible working requests, workplace investigations and mediations, trade unions, redundancy advice and compromise agreements.